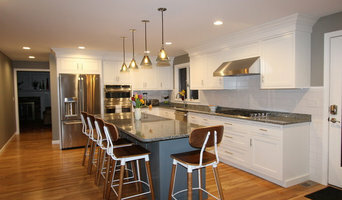 Wayside Kitchens is a premier design build kitchen and bath showroom located in the Littleton Common. We offer design, quality cabinetry and installations for kitchens, bathrooms and interiors. Jim and Mary Regan, owners of Wayside Kitchens personally invite you to come visit our showroom. Dawn Willis, AKBD- Great Spaces Inc.
We can offer Renovation Consulting, Design Services, product and complete Project management. Great Spaces Inc. offers the support, attention to detail and experience that will help you to achieve your dream space. We pride ourselves on taking the stress out of the process, while insuring that your needs, vision and budget are top priority. Creating a Great Space can be a great experience! JRL Interiors helps busy people live graciously and effortlessly. We offer excellent design solutions creatively tailored to meet the specific needs, desires, and lifestyle of each client. We are expert listeners and problem solvers with an unerring sense of color, scale, and style. As a result, we design interiors that are beautiful and comfortable as well as perfectly suited for their occupants. At Atlantis Marble and Granite, We Deliver the Lowest Overall Cost for High Quality Custom Granite Countertops, and more with the Highest Quality in Rhode Island and Southern Mass. We perform all the fabrication process from template to installations. Our attention to details can be seen in every job from a great selection of slabs to choose from to the way we book-match seams, to the quality of fabrication process we have and finally to the quality of install that we work hard to achieve. ATLANTIS STONE offers a Best Quality Service, attention to detail and fast installation. Baths & Kitchens by Pete’s has joined the Kohler Partner Network, a community consisting of premier remodeling and plumbing companies in the nation. This partnership allows Kohler to confidently align homeowners with local businesses comprised of designers, project managers, and craftsmen who exceed expectations when it comes to delivering exceptional work. We provide our customers a level of service matching the quality and craftsmanship of the Kohler brand. 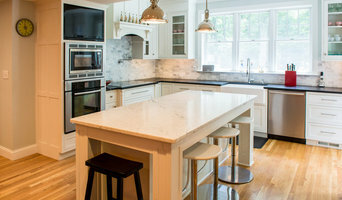 The benefits of choosing to remodel with Baths & Kitchens by Pete’s include the confidence and peace of mind that the job will be done right, collaborative project development, and unique product support. Baths & Kitchens by Pete’s, a division of Pete’s Plumbing, Inc. The main goal of our professionalism and value-added service is to ensure your comfort at every level of the process: planning, construction, and living in your home. At Massachusetts based Basnett DBR, we understand that construction may be a wholly unfamiliar process that can cause a great deal of anxiety. We use our expertise to help you build an understanding of this complex process. Project development is not a concept well understood, even within the industry, thus we are here to fully communicate to you all that is involved. Christine Nelson Interior Design is a full-service design studio specializing in residential design. Whether the project is new construction, a remodel or purely decorative, Christine and her team of master craftsmen, contractors and suppliers can translate her extensive ideas into functional designs that capture each client’s unique style. With over two decades of education and experience in the industry, Christine has developed a strong ability to translate her client’s needs and personalities into functional and inspiring spaces. Using classic pieces along with more modern elements, Christine’s designs are timeless and sophisticated. But before you start sending out dozens of emails and making phone calls, sit down and think about your project. What's your budget? What is the scope of your project? Will you need more than one type of professional to complete your home improvement project in Acton, MA? Can you afford to complete the full project now, or should you tackle it bit by bit? Once you've settled on your project’s priorities, budget and scope, it's time to start researching Acton, MA home design professionals. Don't sell yourself short and settle on the first professional you set your sights on. Make sure that you're working with someone local, who can get to the jobsite easily and efficiently. Look into the person’s reviews, ask to speak with former clients and to see previous jobs in person. Take a good look at their portfolio photos: How similar are these projects to your own? Be honest — that mansion might look beautiful, but it might not have a lot in common with your little bungalow. Reach out to multiple professionals — especially for larger projects — and don't settle for the first bid you hear. Comparing multiple Acton, MA professionals' bids and experiences can help you find the one that’s best for you. Ask a lot of questions now, so you won't have unexpected answers later. Find a home design professional on Houzz. Narrow down your search by type of professional and location. Browse Acton, MA portfolio photos, read client reviews and contact each Acton, MA professional for more information. Check out the information in the specialized professional sections too for tips on how to hire the right professional for your project.